ARE YOU SEARCHING FOR THE BEST LIGHTING INSTALLATION SERVICE IN NEW JERSEY? Successfully installing light fixtures takes knowledge of more than just basic contracting work. When you install a light, you want to make sure that all of the electrical wirings are properly placed, and the switches are all aligned. If even the smallest error is made while installing a light, it may never function to its full potential. When it comes to your light fixtures, you want them perfect. 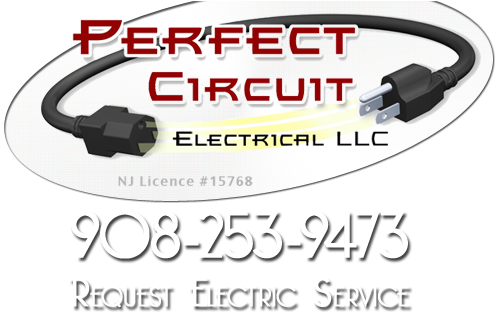 Perfect Circuit provides the best lighting installation service in New Jersey to residents of Somerset County and surrounding areas. 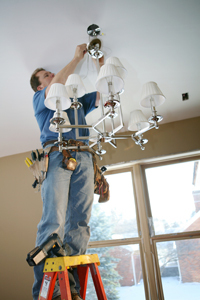 Our professionals electricians are multi-talented and can repair and install any type of light fixture. No matter what type of fixture you want, our professionals can successfully install it for you. The lights on the inside of your house compliment your interior decorating style. Perfect Circuit has professionals that can install all types of light fixtures. We can install fancy chandeliers in formal dining rooms for an extra attractive feature. Spotlights and Low voltage lights can be added to special areas in your house to display art pieces or highlight a picture. We also specialize in the installation of ceiling fans with lighting options. Our professional lighting installation contractors can recommend the perfect light fixture for any setting. Rather you are looking for something with a unique style, or a traditional light that just flips on and off, our professionals can help. With our superior lighting installation services, we provide exterior lighting installations too. Some of our exterior lighting options include deck lighting, landscape lighting, security lighting and pool lights. The best way to bring the outside of your house to life after nightfall is to add exterior lights. Deck lighting and patio lighting are a great way to make having parties more of a delight. Adding landscape lighting around your house will highlight your garden. Security lighting such as spotlights and motion detected lights can be added to the exterior of your house for extra security. Pool lights can be added to the bottom of your pool or around your pool to make swimming at night more enjoyable. Our professionals have the skills and tools to properly install exterior lighting around your Somerset County house. Perfect Circuit provides professional lighting installation services to all of their customers. We believe in providing you with the best customer service possible, which includes successfully installing your lights the first time. If you are looking for a New Jersey Lighting Installations Service then please call 908-253-9473 or complete our online request form.